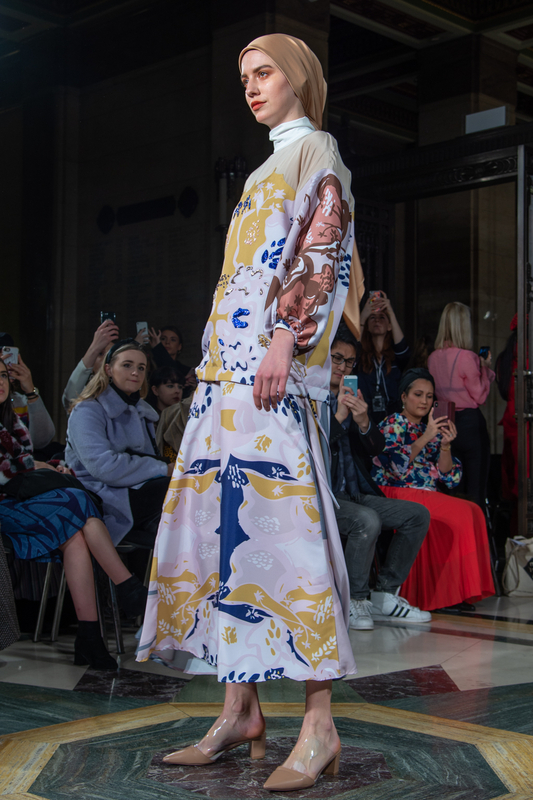 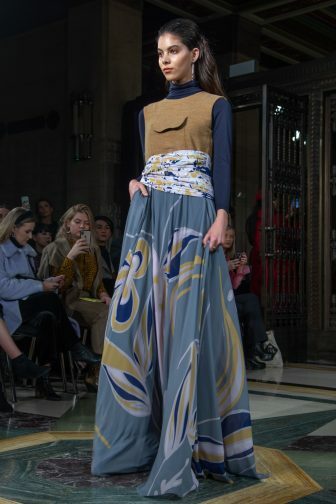 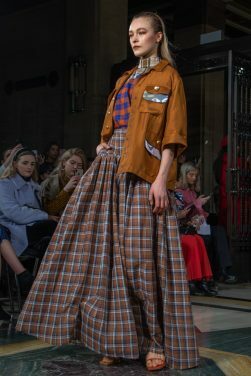 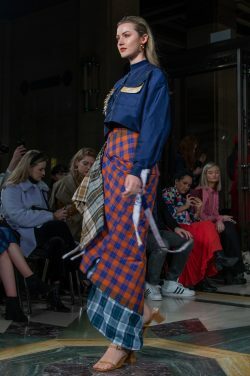 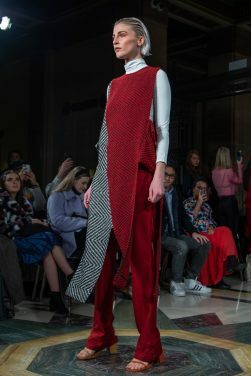 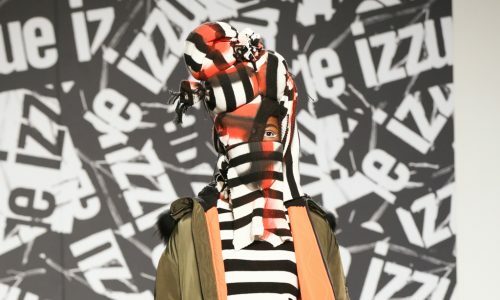 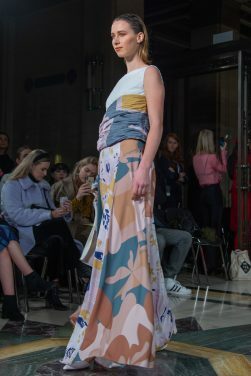 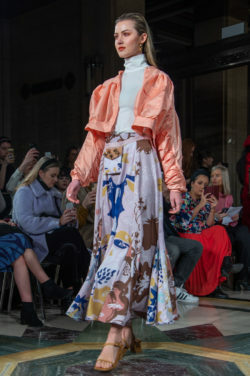 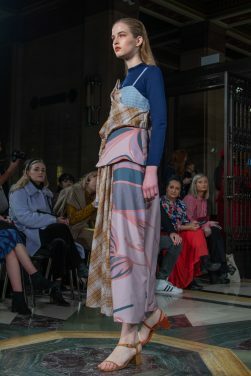 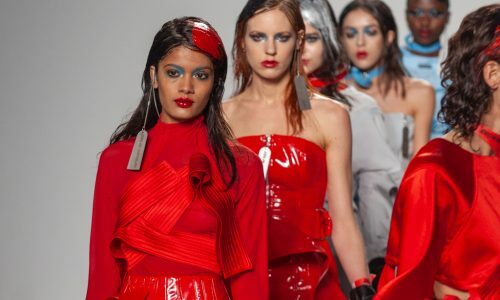 The memorable second day of London Fashion Week started with a celebration of diversity by the mythical brand Mimpikita. 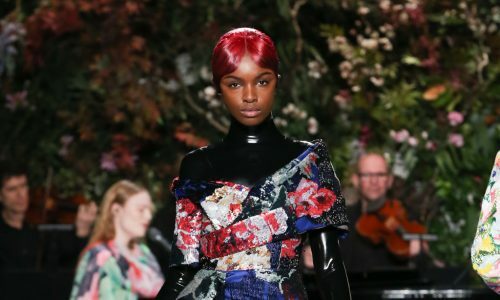 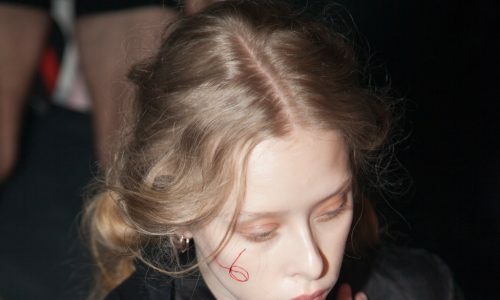 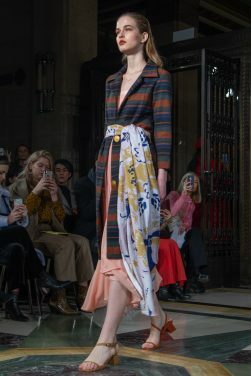 A feminine feel flooded the runway from the very beginning, the earthy tones and soft silhouettes of the models proclaiming the oncoming arrival of spring. 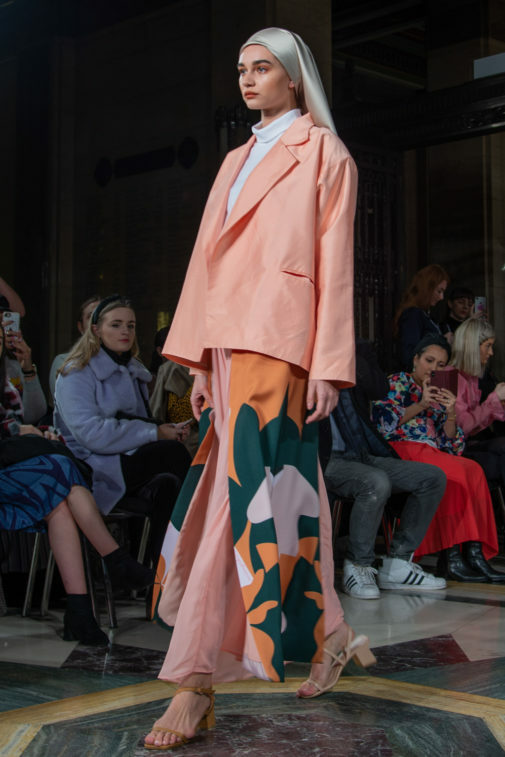 Ranging from tailored outerwear to soft skirts, a bouquet of abstract florals offered a refreshing mixture of transparency and playfulness, balancing beauty with practical embellishment. 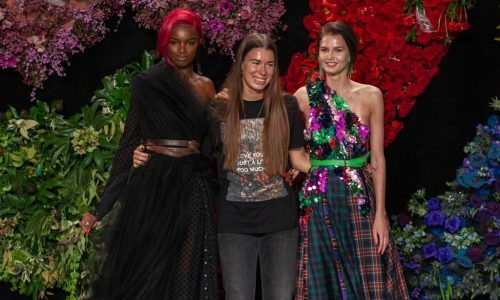 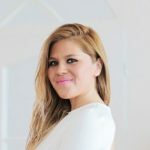 It’s no surprise that the three female founders of the label understand the uniqueness of women today. The collection intelligently adjusts classic, well-known patterns into a modern, more bold design that evokes confidence and a greater sense of empowerment. 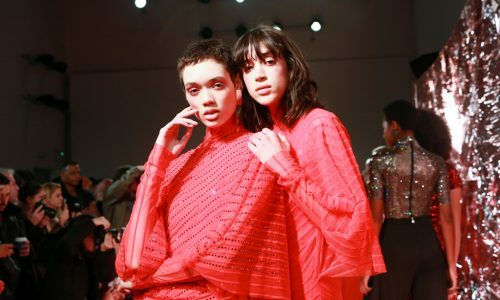 This feeling might also have been influenced by the sounds of I Wanna Dance With Somebody by the goddess herself, Whitney Houston. The collection welcomes authenticity and embraces multicultural femininity through the striking and colourful fabrics of the garments. 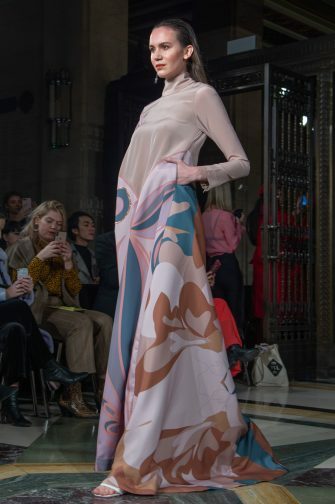 Flowing sleeves decorate the models’ arms, completing the look. 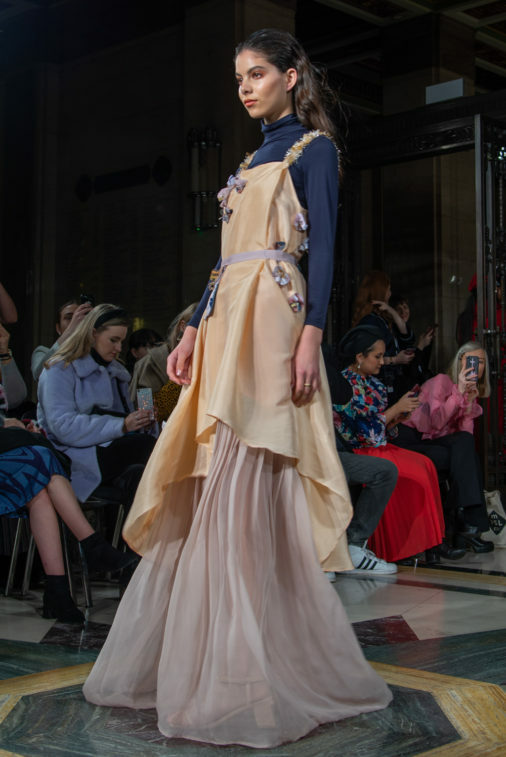 The marvellous finale brings the softest silhouette of them all, an angelic white and navy dress streaming down the runway, reminding us all the glorious feeling of being comfortable in your own skin.